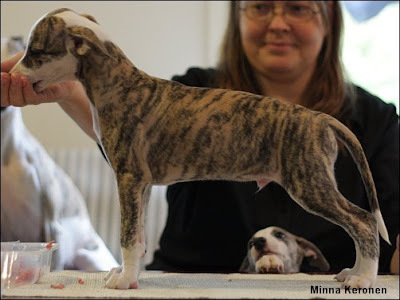 I had a real pleasure of having two of Leevi´s Ch Best-Looking Brooklyn daughters out of Ch Plaudite Rare Antique Love, with me for a couple of days. Actually Kiwi is staying with me untill her owner comes back in January from a long trip to South-Korea. These two lovely ladies are pictured here almost 17 months of age. These three lovely and handsome 8 weeks old boys in knl Belltown are still looking for loving homes! 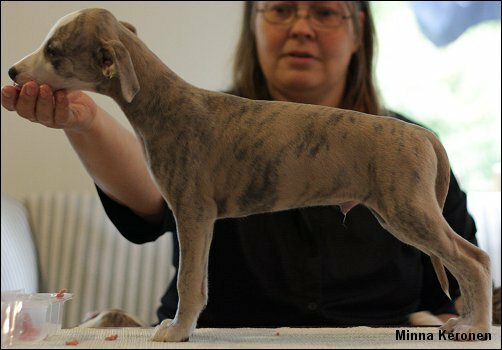 Puppies are out of Leevi, C.I.B Ch Best-Looking Brooklyn (Ch Twyborn Philadelphia x Best-Looking Blooming Martha) and Manna, Belltown Diamond Eyes ( Ch Forgetmenot Flying Star x Nightvision Astra of Belltown). B. Fight Fire With Fire "Liekki"
Puppies 1 boy and 3 girls of Noah, Spellbound Forgetmenot Santana and Spagetti, Bonnywapit Cicciolina are 2 weeks old today. 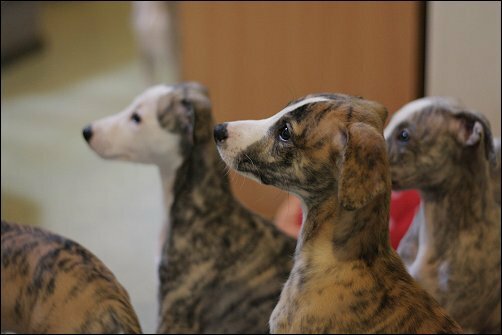 Here is some adorable pics of them and much more you can find at puppies own fotogallery, taken by Johanna Gustafsson! Happy 1st birthday to our funnyface littlebig man Noah! Thomas, Joanne, Justyna and Natalia, thank you for making possible to have this the most lovable character with us!